Lympo aims to create an ecosystem powered by user-generated and user-controlled fitness and wellness data allowing the exchange of value through the introduction of LYM utility tokens. Lympo’s goal is a marketplace where data itself is used efficiently by ecosystem members and everyone is rewarded fairly. 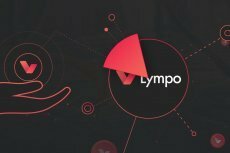 Lympo has decided to distribute 20% of its shares to the LYM token holders, giving an additional value to them in terms of the company’s ownership.